Wakame is one of the most common types of edible brown algae used in miso soup since olden times in Japan. Nowadays it is used for much more than miso soup. Wakame is considered a super food because of its exceptional nutritional value and the fact that it is so low in calories. 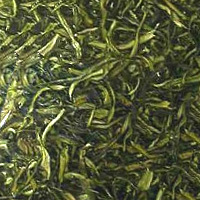 Like other seaweeds it is commonly used in salads. The calories in Wakame per 30g(1pack) is 35 calories. Wakame is calculated to be 117Cal per 100 grams making 80Cal equivalent to 68.38g with 12.39g of mostly carbohydrates、4.08g of protein、0.48g of fat in 30g while being rich in vitamins and minerals such as Vitamin K and Magnesium.